Helping clients cope with the death of a pet : quality of life assessment, how to approach it with kids from VetFolio. Why clients leave: a negative or neutral euthanasia experience can result in a client leaving even if they like the veterinary team. The plastic bag set a negative tone for the practice, in DVM360. Compassion Fatigue: Compassion Fatigue is a state experienced by those helping people or animals in distress; it is an extreme state of tension and preoccupation with the suffering of those being helped to the degree that it can create a secondary traumatic stress for the helper. CAETA (companion animal euthanasia training academy) training academy. A complete thorough course to enhance the euthanasia experience for you and your clients. Some very helpful technique in with 10 hours of CE credits. The first Canadian training will be held in Ottawa June 22-23, 2019. Join us! In-home Pet Euthanasia techniques by Kathleen Cooney. Not only for in home euthanasia but a very good help to prepare. As mentioned in the book, failing to plan is planning to fail. 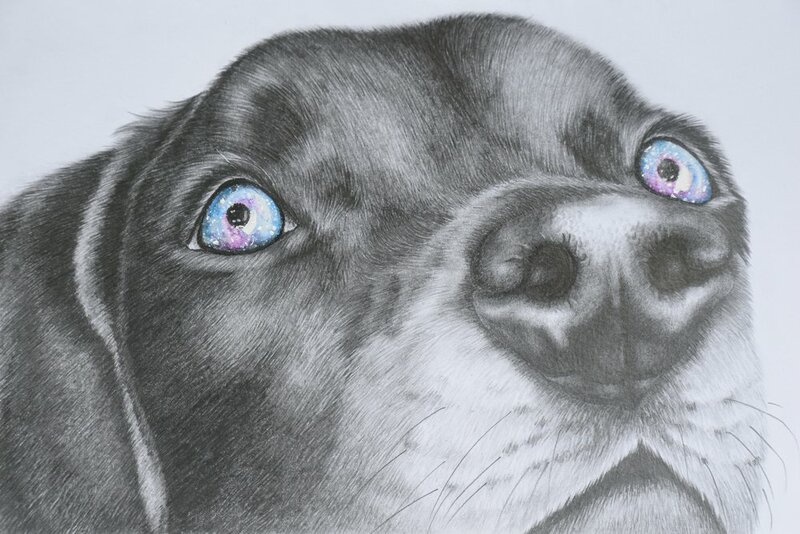 Blue Juice euthanasia in veterinary medicine by Patrica Morris. Offering a behind the scene look of this unique reality veterinary teams experience. Hospice and Palliative Care for Companion Animals: Principles and Practice. The first comprehensive reference to veterinary hospice and palliative care, with practical guidance and best practices for caring for sick and dying animals. Sample Euthanasia protocol: to make sure no steps or details are forgotten by the team, in DMV360. CHECKLIST PREPARING FAMILIES FOR EUTHANASIA: Here is a brief checklist of things to discuss with families prior to euthanasia to help reduce stress during the entire experience. Alternate Routes for Euthanasia By Dr. Mary Gardner. Euthanasia methods that minimize stress may not always involve an IV catheter. Most of our clients and a lot of veterinary staff are unaware that there are professional Grief Consultants available to help their pet parents afterwards. Some of our clients need this extra external help to manage their grief; they can bring such wonderful help in just 1 or 2 consultations. Clients will appreciate that you have taken the time to care as much for them, as you did for their beloved pets. See our Pet Loss Support page for more information. For families that have lost their equine companion, you can cherish their memory by trimming the tail or mane hair, washing it and then braiding it with a ribbon. BURYING A PET: Although we are not permitted to bury animals, except on farms, some pet owners will decide to do it anyway. Thus, this document can be useful to inform them on how to do it properly. How to say Goodbye: a nice tool for families to assess when to choose the moment, by Andy Roark, DVM. 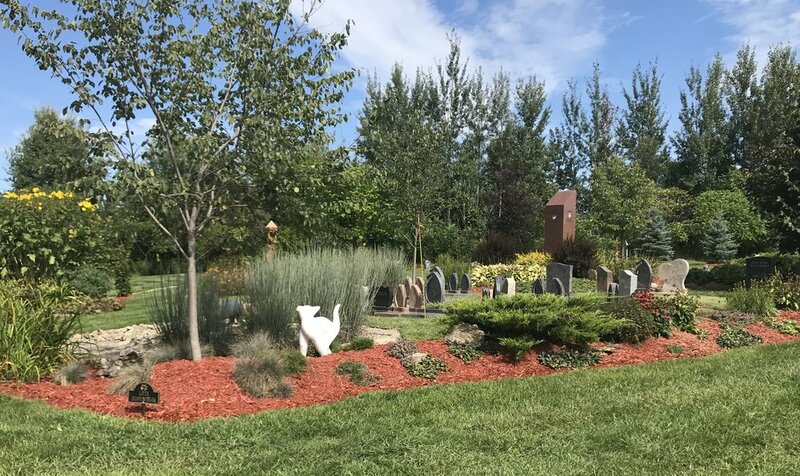 Masters and Companions is the only cemetery in Canada offering a pet burial service where ashes or animal remains may be buried alongside the ashes or remains of the pet’s masters in the same plot. Located in Laval. À la mémoire de nos amis: a nice cemetery in the Quebec City area. A donation to a shelter, the SPCA, a veterinary school can be done in the name of a pet.